China, now the world’s largest automotive market, is a goldmine for ambitious manufacturers. As “tier 1” cities like Beijing and Shanghai implement license plate restrictions to mitigate congestion, demand is rising in the country’s smaller cities. Since these cities are less likely to have such restrictions, it may explain the rising demand. But what exactly are Chinese consumers wanting in their next automobile? Registered vehicles in Chinese cities with no license plate restrictions is expected to jump to about 23.7 million in 2020, up from 10.8 million in 2010. By contrast, registrations in restricted cities is expected to fall to 1.6 million in 2019, from a peak of 2.2 million in 2010. The data is according to IHS Markit’s latest China Provincial Forecast. And like in the United States, SUVs are all the rage. Last year, the McKinsey Center for Future Mobility noted that China’s midsize SUV segment experienced an annual growth rate of 38 percent between 2012 and 2016. As a result, Chinese manufacturers are packing the market with SUVs, although one Michigan-based automaker wants a bigger piece of the pie. 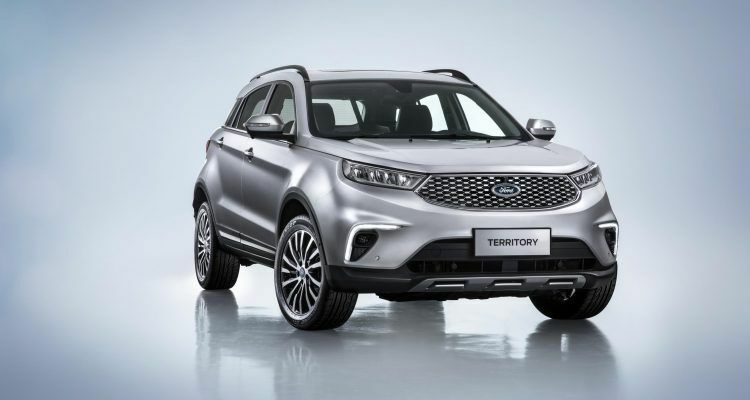 Meet the Ford Territory, an entry-level, midsize SUV, developed in partnership with Jiangling Motors Corporation (JMC). 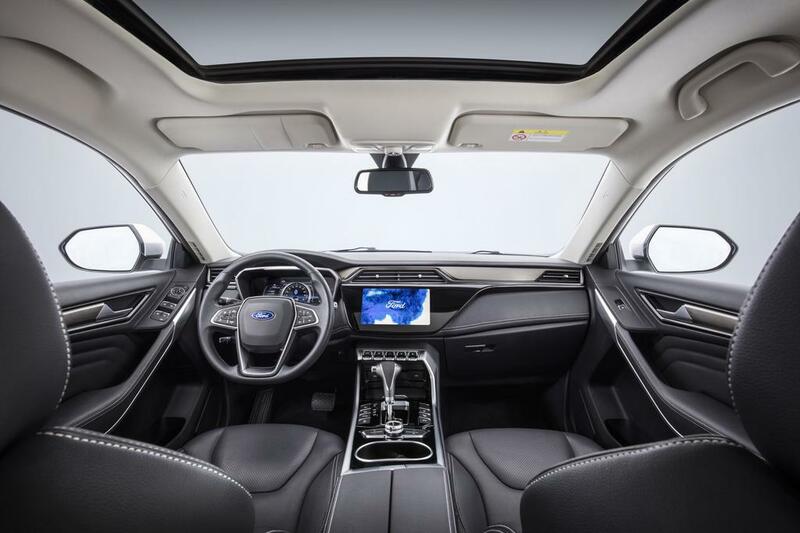 Officials say the collaboration combines JMC’s market insights with Ford’s expertise in vehicle design, engineering, and manufacturing. Ford’s testing centers in Nanjing, China and Melbourne, Australia helped tune the suspension and reduce NVH levels. “We brought Territory to market with speed, high quality, and cost efficiency,” Fleet said. Ford Territory interior layout. Photo: Ford Motor Company. A gasoline engine, 48V mild hybrid with Miller-Cycle technology, or a plug-in hybrid are among the powertrain options for the Ford Territory. Ford says each will be “efficient” but provide no details on how said efficiency is achieved. Based on the latest data, it seems hybrid powertrains will be the top sellers. Tech features include a Mandarin voice-command function and FordPass Connect with embedded modem. The Ford Territory joins the EcoSport, Kuga, Edge, Explorer, and Everest in the automaker’s SUV lineup. The vehicle is part of Ford’s China 2025 plan to launch over 50 new vehicles in the country by then. JMC’s Xiao Lan plant is responsible for production; expect the Ford Territory on sale early next year. “It will be affordable for young families and new buyers across China, not just the coastal mega-cities,” Fleet added. No Comments on "Ford Enters New “Territory” In Chinese Market"